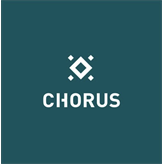 Chorus One is a community of ambitious, self-reflective people high reliability infrastructure for decentralized networks. We believe that cryptoeconomics and decentralized networks will enable collaboration on a global scale and propel the next stage in human evolution. Chorus One is building validator nodes for decentralized networks, allowing our users to earn more tokens and shape the emerging open financial system. Our work lies at the rich intersection of financial services, cryptocurrency, DevOps and information security. Want to get notified about new jobs at Chorus One?